PGA golf professional Brian Manzella teaches you how to hit shots off pine straw by practicing a few simple techniques. He shows you how to handle shots from two different types of lies, and then stresses the importance of not grounding the club and making solid club/ball contact. Then PGA professional Christopher Smith demonstrates the evaluation process and proper techniques needed to handle a short-sided position in the rough when you’re just off the green. 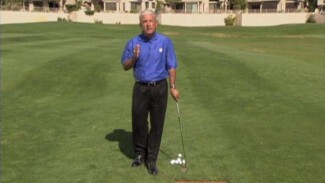 Finally, PGA professional Ron Philo, Jr. shows you how to take on a flyer lie out of the rough.